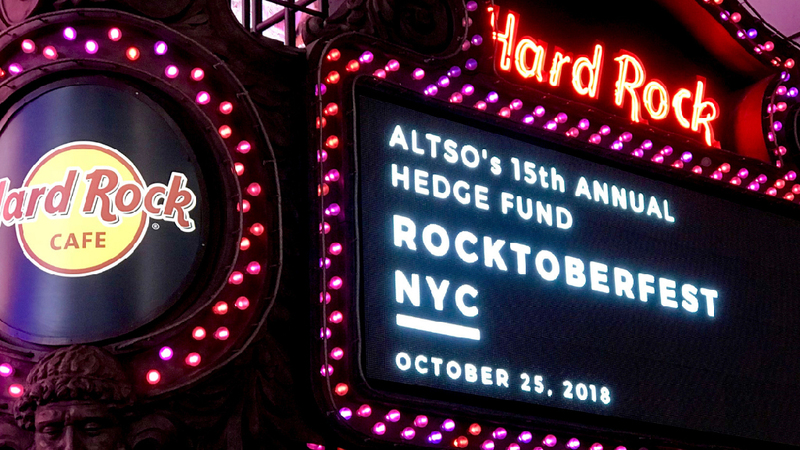 New York, NY, October 22, 2018 – A Leg To Stand On (ALTSO) is ready to throw the non-profit organization’s biggest party yet this Thursday, October 25th at the Hard Rock Cafe to celebrate 15 years of their signature Hedge Fund Rocktoberfest and more than 17,000 patients treated as a result. Tickets are available online until noon EST on Thursday for $275 and will be available at the door for $350. “We are thrilled to headline Rocktoberfest’s 15th anniversary concert, marking our third consecutive year supporting this wonderful cause. Looking forward to igniting the main stage this Thursday! Additionally, we would like to thank all of our generous sponsors and friends that helped make this possible. FUNDING SECURED.” said Bill “Clutch” Skutch, Head Trader of Scopus Asset Management and singer of The Autopilots. ALTSO’s event, which now spans New York, Chicago, and London, will also host nearly 50 corporate sponsors including ACA Compliance, ADM Investor Services, CME Group, Element Capital, Intercontinental Exchange, Oranj, Société Générale, Wells Fargo, Albourne, Back In The Game Therapy, CGI, Gartland & Mellina Group, Lyxor Asset Management, Morgan Stanley, Stifel, TIG Advisors, Barclays, Bridgewater, Broadridge, BTIG, CIBC, Citigroup Global Equities, Deutsche Bank, Fortis Lux, GlobeTax, Goldman Sachs, Hentsu, Jacobs Asset Management, JP Morgan, Keybank, Nomura Capital, OTR Global, Quanteam, RBC Capital, Sandler Capital, Sia Partners, Talan, Vesel, Virtu Financial and more. Ready to rock? Pre-order your ALTSO GLOW stick, which will be available at the door for those who purchase in advance or during the event by volunteers headed up by the New York team at world-renowned executive search firm, GQR. Each GLOW stick purchased is a tax deductible donation that correlates to a treatment provided by ALTSO. Guests will also have the opportunity to “Meet the CoolKids” at the event – an interactive activation where each attendee will get to learn more about the impact their support has on an ALTSO beneficiary. A Leg To Stand On (“ALTSO”) is a non-profit organization providing free orthopedic care including prosthetic limbs, orthotic devices, mobility aids, and rehabilitative care to children in the developing world. Its mission is to offer children who have lost their limbs in traumatic accidents or suffer from congenital disabilities the physical capabilities to access the opportunities and self-esteem earned through education, work and mobility. Since ALTSO’s founding in 2002 by C. Mead Welles of Octagon Asset Management with Dr. Dinesh Patel, Chief of Arthroscopic Surgery at Massachusetts General Hospital and Assistant Clinical Professor of Orthopedic Surgery at Harvard Medical School, ALTSO has provided treatment to more than 17,000 children in 20 countries. For more information on the organization’s impact or events, visit ALTSO’s website at www.altso.org.